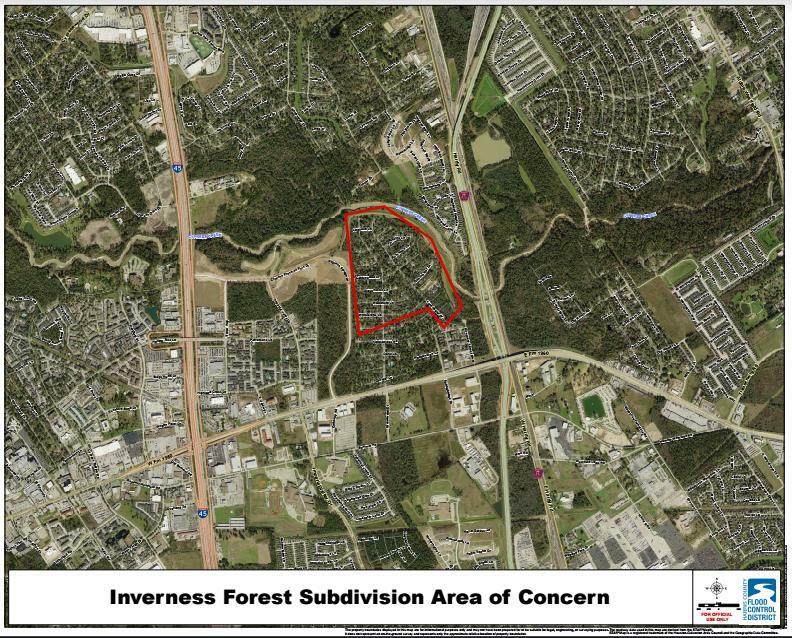 Harris County, Texas – August 28th, 2017: The Inverness Forest Improvement District and Harris County Flood Control District are calling for a MANDATORY evacuation as soon as possible due to the high and rising water levels in Cypress Creek and the possible failure of the storm water pump. The MANDATORY evacuation applies to streets north of Kingsbridge Road, including east and west Greenbrook Drive and Kenchester Drive. While the pump station is currently operational, it is struggling to lift against the high water level in Cypress Creek which is above a 500-year event. If water rises on the detention side, it will get into the electrical system and shut down the pumps. For more information please contact the Harris County Flood Control District at 713-684-4000. IN THE EVENT OF A LEVEE BREACH OR FAILURE, THERE IS POTENTIAL FOR SEVERE STREET AND HOME FLOODING. Residents should evacuate all family members and pets. In addition, they should take all medications and important paper, such as insurance policies.